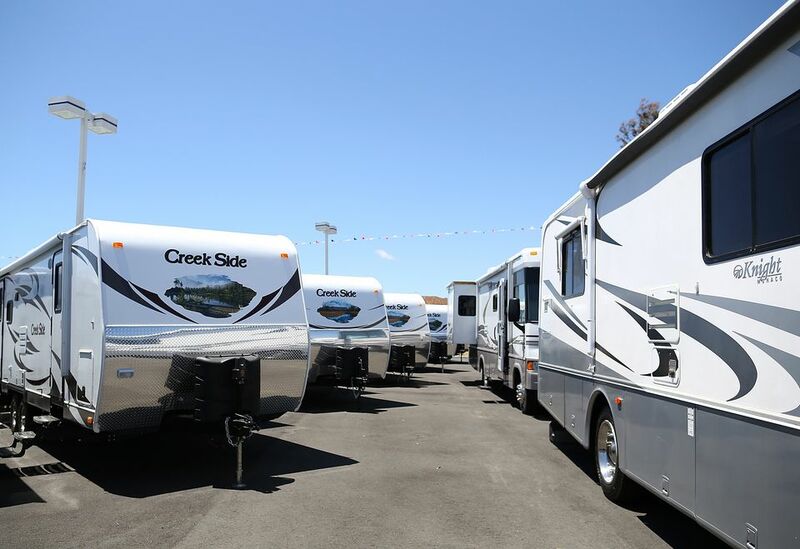 At some point, you may think you’ve heard it all when it comes to different types of RVs. You may know that there are three main types of motorhomes, but there is another that’s gaining popularity. This motorhome is known as the Class B+. The Class B+ motorhome has become a market of its own, like the popularity of teardrop trailers, A-frames, and more. So, what is a Class B+ motorhome and what makes it any different than a Class B? Let’s answer those questions and more by exploring the rising popularity of the Class B+ motorhome. To learn about Class B+ motorhomes let’s get a quick refresher on Class B motorhomes. Class B motorhomes are immediately recognized due to their resemblance to large vans. Class B motorhomes are often referred to as camper vans or conversion vans. There’s not a large amount of space but enough for a small number of people to sleep and move about in relative comfort. Class B motorhomes are the smallest of the three main classes of motorhomes. So, what makes a Class B+ different than a Class B? The main answer is size and amenities. Like the typical Class B, the B+ is constructed on a large van chassis and even a bus chassis for larger models. Class B+ motorhomes are larger than your everyday Class B but still not as large as a Class C motorhome. The best way to think of a Class B+ is as a hybrid of the Class B and C motorhomes. Space: The Class B+ is larger than the Class B you’re used to seeing on the road. This gives you more room to move around in and more storage to bring what you want on your next trip. For RVers who aren’t quite ready for a Class A motorhome or fifth wheel RV, a Class B+ can provide an alternative. Beds: Class B+ motorhomes can accommodate more people, giving you more cabin space to sleep at night. Whether it’s an over cabin bed or an extra pull-out, you’ll have more space to get a good night’s sleep. Bathroom: In Class B and Class C motorhome models, you don’t always get a full bathroom. In most Class B+ models, you can get a standup shower to use along with a toilet, sink, and minimal storage. Space: While the Class B+ is bigger than a Class B motorhome, it’s still small and cozy. Depending on the trips you’re taking, and how many people are coming along, this still may be too small for your travels. When checking out the Class B+, bring along those coming with you to see how the space works out. Mileage: A Class B+ motorhome offers more space but also requires more gas depending on your travels. You’ll spend more traveling in a Class B+ motorhome as it mimics a Class A on the road. This means you’ll need to plan your trips more to save on mileage. Storage: Class B+ motorhomes don’t offer the storage you’ll find in travel trailers, Class A motorhomes, and fifth wheels. This means you must get creative in how you bring what you need on the road with you. This might mean towing behind the motorhome or limiting what you bring on the road. Size: Size is the main difference between Class B and Class B+. If you’re looking for size, but you’re not quite ready for a Class A or C, Class B+ is an excellent choice. 4x4 Option: Class B+ are one of the largest types of motorhomes that can be found with a four-wheel drive option. Sleeps 2 to 8: The additional size of a Class B+ allows you to sleep more people comfortably. Gas Mileage: Many Class B+ run on standard gas though some more powerful models require diesel. Cab-over Without Sleeper: Many Class B+ appear to have cab-over sleeping quarters, but that’s only a design feature. A cab over sleeper is a distinction between Class B+ and Class C.
Leisure Travel Unity: Leisure Travel manufacturers a smaller and larger model of their Class B+ motorhomes, but the Unity is a good average size for most RVers and is one of the most popular Class B+ on the market. The Unity can be outfitted with a queen or twin murphy pull down beds and boasts five unique floor plans. The Unity also comes with stand-up shower, large kitchen, a surprising amount of storage, and several swanky amenities like French-seamed upholstery and handcrafted cabinetry. The Unity is built on the reliable Mercedes Sprinter chassis to give you a smooth ride no matter where this outfitted ride takes you. NeXus Viper: The NeXus boasts a Ford V10 gas engine built on the Ford E350 chassis that has plenty of power to get you up hills and down rough roads. At 24’ feet, the Viper houses a queen bed, large dinette and kitchen, a 25,000 BTU furnace, stand-up shower, tons of storage, and plenty more. Though Class B+ isn’t as big as Class Cs, you can still expect amenities like the Viper’s USB touch screen stereo, Bluetooth and satellite radio capabilities and much more. The Viper is a great example of how much more you can get from a Class B+ without having to increase your footprint drastically. Phoenix Cruiser: Cruiser is an excellent example of a ‘bang for your buck’ Class B+. Popular options and amenities on the Cruiser include two LED TVs, custom-built cherry cabinetry, slide outs, and large kitchen and dining areas. The LED lighting provides a great atmosphere as you lounge on your couch, pull out the two-burner range for dinner, or admire your real porcelain toilets. The Cruiser comes on both a Ford and Mercedes chassis making it a well-rounded RV for those exploring Class B+ motorhomes. In the end, the Class B+ motorhome is a great choice if you’re looking for a motorhome that is compact but not as small as a camper van. This hybrid of a motorhome has been gaining in popularity so don’t be surprised to see more the next time you hit your favorite RV park. If you get the chance, ask to look inside and see if it might be the right fit for your RVing needs.